Community Leaders are current students who have been selected through Campus Living & Learning and the Hall Director to provide leadership for the community. Each Community Leader lives on the floor with approximately 35-55 students and encourages students to become involved and engaged in the Teal Residential College and campus communities. Community Leaders actively integrate aspects of diversity, faith development, academics, and relationships while fostering community, cultivating relationships, mentoring residents, and facilitating learning. 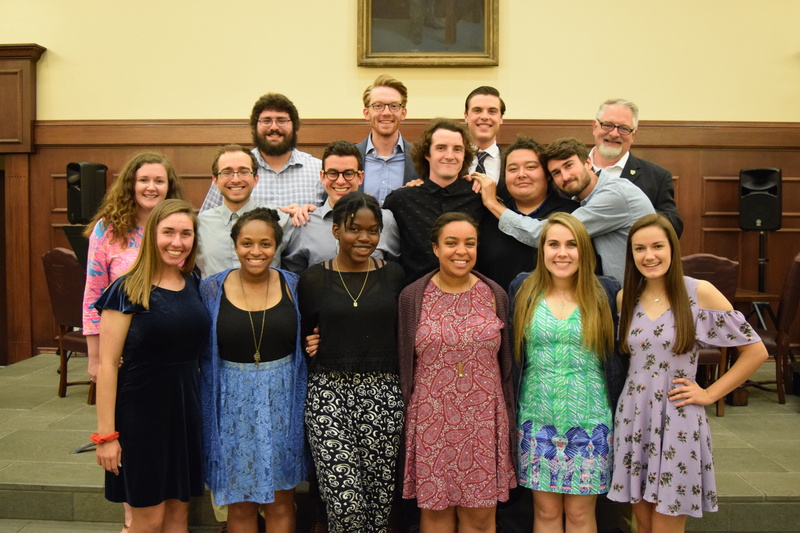 Tyler Arrighetti (Community Leader Mentor), Alan Glavez, Amayah Brown, Carolyn Ahearn, Catherine Ledoux, Chloe Hyde, Deborah Olayinka, Jackson McNeece, John Savage, Josh Chandler, Reanna Clavon, Troy Robb and Zach Garst. We are thankful for their investment and service to our community!